Basement Jaxx is an English house music duo comprised of Felix Buxton and Simon Ratcliffe that rose to popularity in the late 1990s. 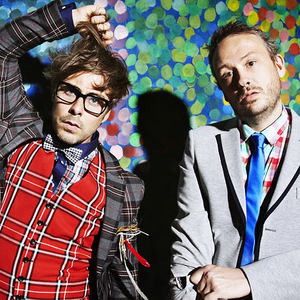 Basement Jaxx started in Brixton, South London, UK in 1994, where they held a regular club night called Rooty, which would later become the name of their second album. The duo got their name from the location of the studio where they recorded their first EP - it was located in the basement of friends of Simon Ratcliffe.